Download "Elev. 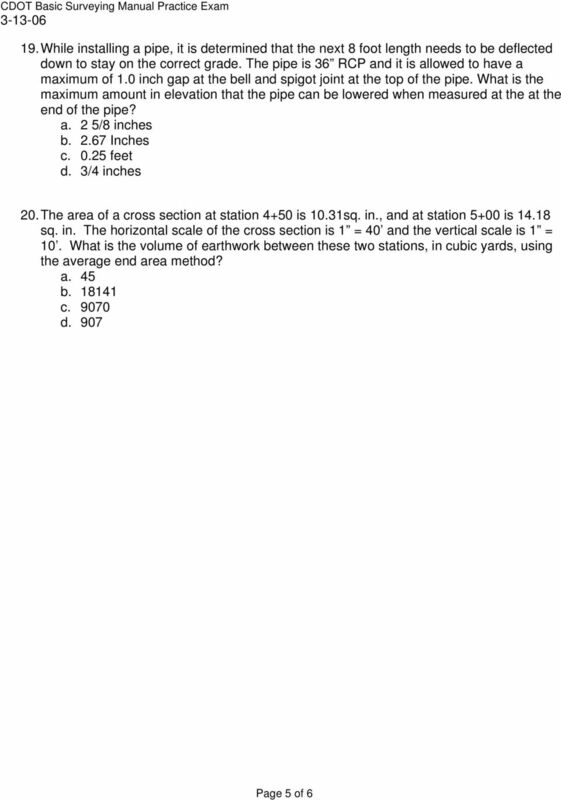 A = 200.05, Elev. 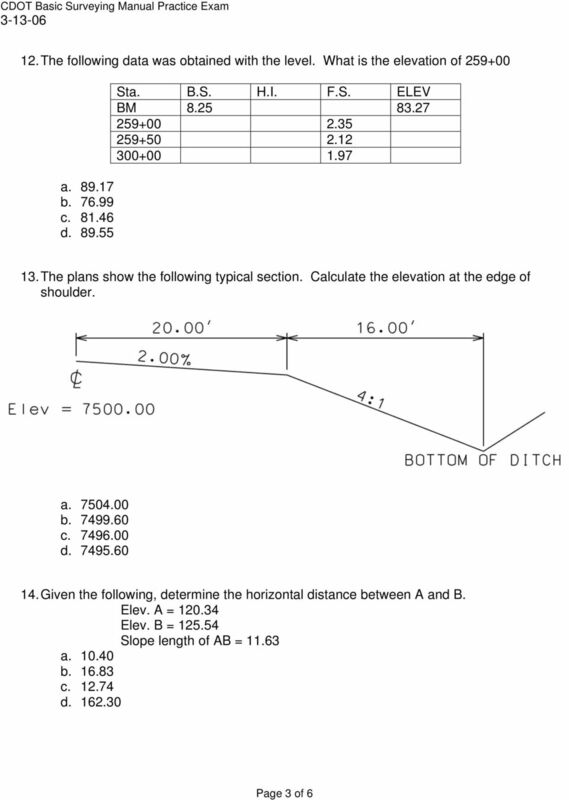 B = 325.25, horizontal distance = 1625 feet a. 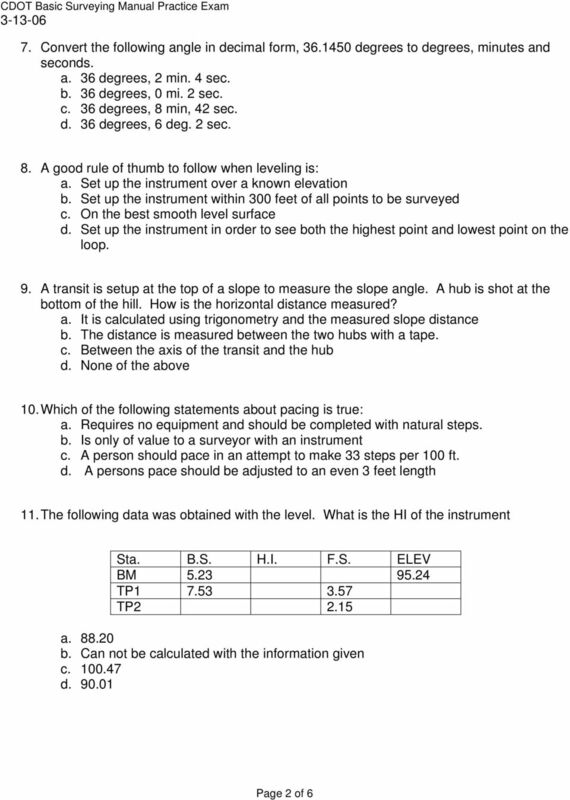 7.7 b..077 c. 12.98 d. 1.28"
Name Physical Geography Lab Activity #13 Due date Slopes and Profiles COR Objective 7, SLO 3 Slope refers to a change in elevation from one point to another. The steepness of a slope can be a big deal. 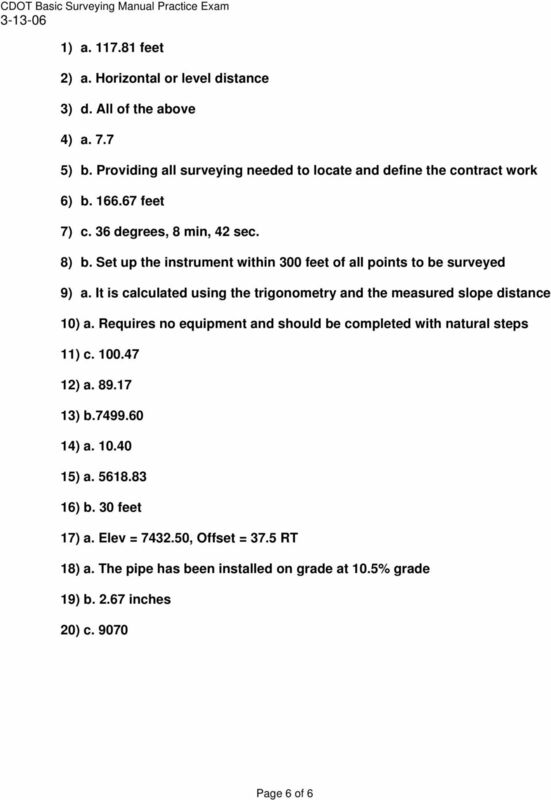 OFFICE OF THE CITY ENGINEER 50 S.
SECTION 5 DRAFTING STANDARDS 1 SECTION FIVE TABLE OF CONTENTS Description Page TABLE OF CONTENTS... 5-2 GENERAL... 5-3 DRAFTING STANDARDS... 5-5 DRAFTING MINIMUM REQUIREMENTS HANDOUT... 5-8 2 GENERAL 1. INDEX. 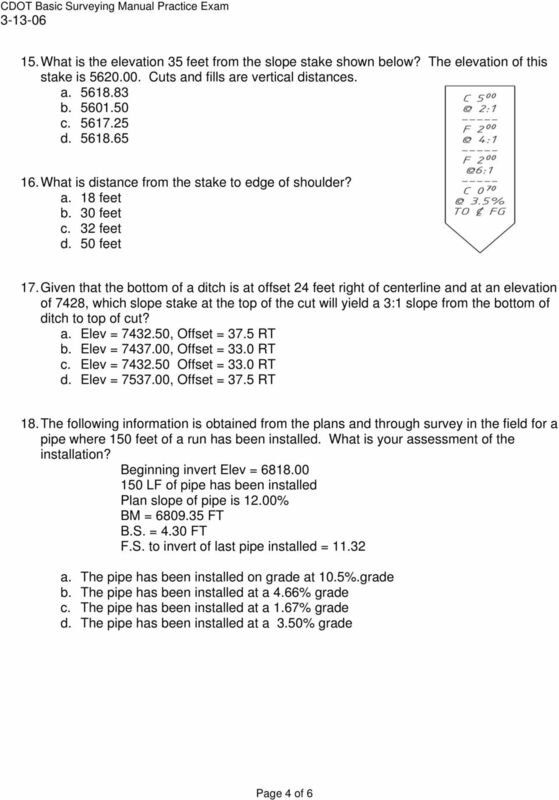 SR NO NAME OF THE PRACTICALS Page No. Measuring the bearing of traverse lines, calculation of included angles and check. Note: All dimensions are nominal. All weights are for shipping purposes only. Availability is subject to change. 1. Metric system- developed in Europe (France) in 1700's, offered as an alternative to the British or English system of measurement.